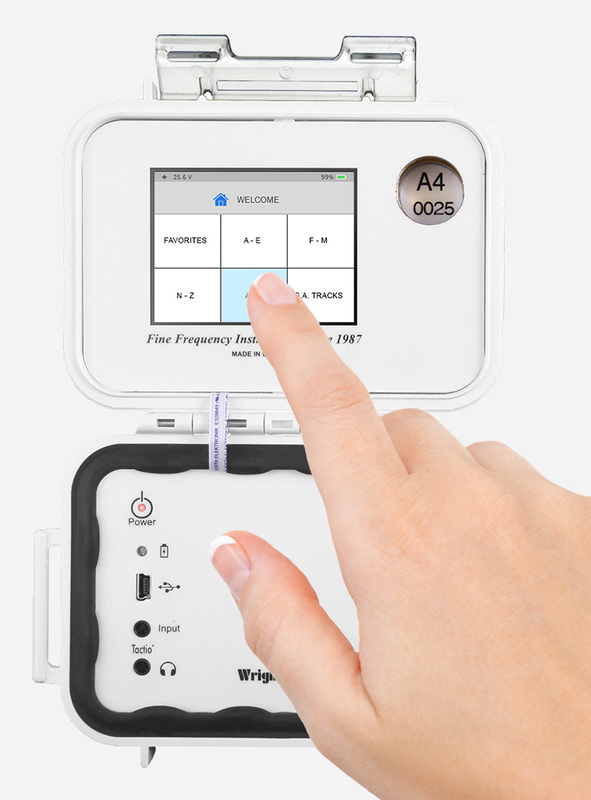 With the Model A4 touch-screen Rife Machine, we have removed any chance of missing the correct frequencies, eliminated the need for constant tuning, and solved the practical problems that made the old designs difficult for all but an expert. 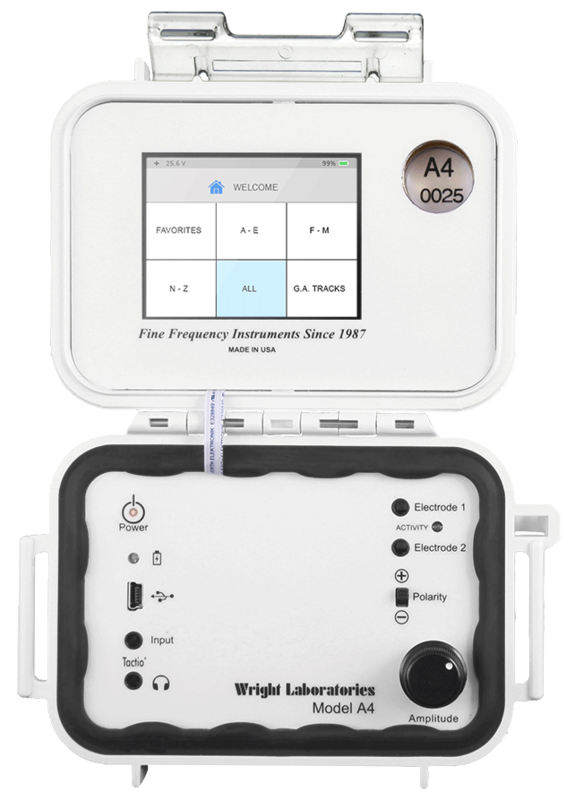 The new A4 delivers over 20 percent more potential voltage and hundreds of full bodied, hand-tuned frequency sessions all at your fingertips with our innovative, user-friendly interface and compact, portable design. In short, The Model A4 Rife Machine is a solid-state equivalent to our legendary vacuum-based instrument. It's fun, it’s powerful, and it’s easy to use. Most importantly, our Model A4 is as safe and effective as our old reliable Model B, with a much shorter learning curve. Intelligent. Leading Edge. True to the History. 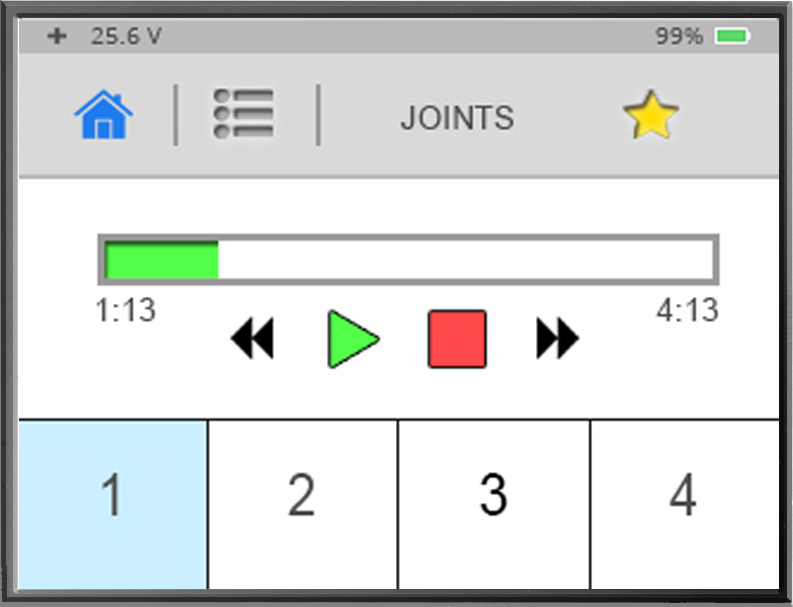 Touch Screen Menu for easy access to over 320 hand-tuned frequency sessions! Crush-proof enclosure for optimum protection! Port for re-chargeable battery, providing easy portability! Input port which permits accessing frequencies from an outside source! 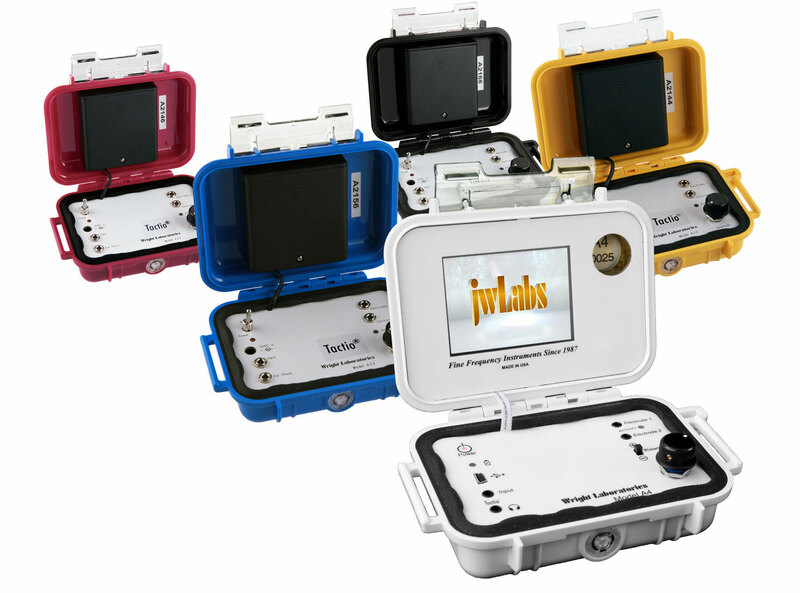 Tactio® port for your exhilarating experience of tactile music! Two electrode ports provides for two users! Polarity Switch permits the change of direction of current! Precision, wire-wound, analog, ten-turn potentiometer providing fine amplifier attenuation! Now equipped with a rechargeable battery, Model A4 is more portable and more powerful than ever. Whether sitting back and reading a book, riding in a car, or even flying on a commercial plane, you can enjoy the benefits of our expertly tuned frequency sessions with ease. We’ve increased the potential output to 80 volts. More than you will need. Pure Design. Purpose-Built. Packed with Power. Now equipped with over 320 full spectrum frequency sessions, Model A4 delivers Masterfully Tuned Protocols at the touch of your hand. Even beginners move confidently through advanced sessions which have proved effective for many years. Our menu provides a wide selection of full bodied therapy sessions which we have expertly hand tuned for you from our legendary analog machine. Bookmark the titles with which you most want to experiment. This will give you quick and easy access. 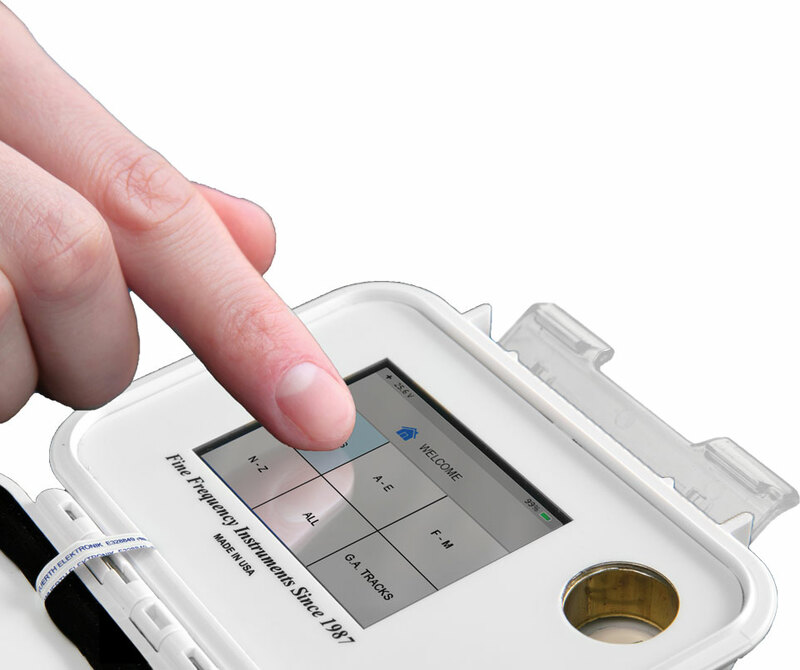 Two electrode ports allow for two users at once. Be sure to have the more sensitive user govern the amplitude of the signal. Full body sessions are delivered to a single user applying current to hands and feet. Get Charged and Get Packing! Our re-chargeable battery makes you independent of a power supply during sessions. Its compact size (it weighs only a pound!) and rugged case mean you will not be without your Rife therapy during travel. An excellent companion on trains, planes, and automobiles! “My wife and I have been using our Model A4 for a few months. My wife had a stroke 8 years ago, leaving her left side affected. I have had arthritis in my foot, due to an injury. “I have been using my Model A4 for just a few months. I recently had surgery, and I continued using my machine after the procedure. Historically, I have been slow to heal. I am pleasantly surprised at how quickly the incision closed. “Always enjoy consulting with you.The portability of the Model A4 is superior. Today while doing a session, I was able to pickup and answer the door and have a 5 minute conversation without missing a beat. We’ve gone through dozens of embodiments and prototypes in developing our Model A line of Rife machines. 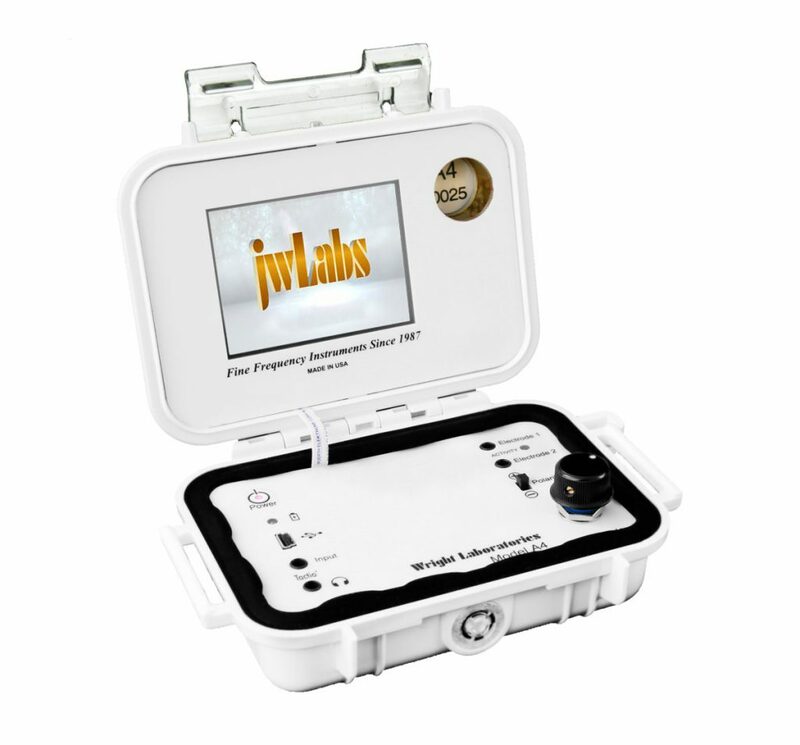 We are experts at developing potent and user- friendly devices you can use safely and effectively in your clinic or in your home. Model A4 exemplifies our commitment to quality and consistency. We’re so confident in the reliability of our devices that we extend a lifetime warranty. Personal assistance, attention to detail. Unlimited customer service & a lifetime warranty. Payment plan available for US domestic sales, upon approved credit.